Activity across Glasgow’s office occupier market has been slow in the first three months of 2019 however there continues to be healthy levels of occupier demand, according to new figures from property firm JLL. In the city centre, take up stood at 103,497 sq ft spanning over 30 separate deals, marking a 59 per cent drop in activity compared with Q1 in 2018 which saw GPU acquire 187,000 sq ft at 1 Atlantic Square. 2018 was a record breaking one for Glasgow’s market, which surpassed 1 million sq ft for the first time ever, thanks in part to major deals involving Barclays and the Government Property Unit. JLL say that despite the lower take up in 2019 so far, there are good levels of stock under offer and strong occupier interest should see Q2 returning a healthy take up figure. The largest deal of the Q1 2019 saw tech firm Gamma Telecom relocate from 7 West Nile Street, expanding its operation to 15,744 sq ft and securing the last two remaining floors at 2 West Regent Street. Other significant deals include Glasgow University taking another 9,791 sq ft, expanding their operation at Tay House. Supply remains tight in the city after sustained activity in 2018 and Q1 2019. JLL predicts this will start to ease off as some notable refurbishments complete by Q4 2019. City centre and new build vacancy rates 5.83% and 0.21% respectively. There are currently only two speculative new Grade A builds schemes on site in Glasgow. 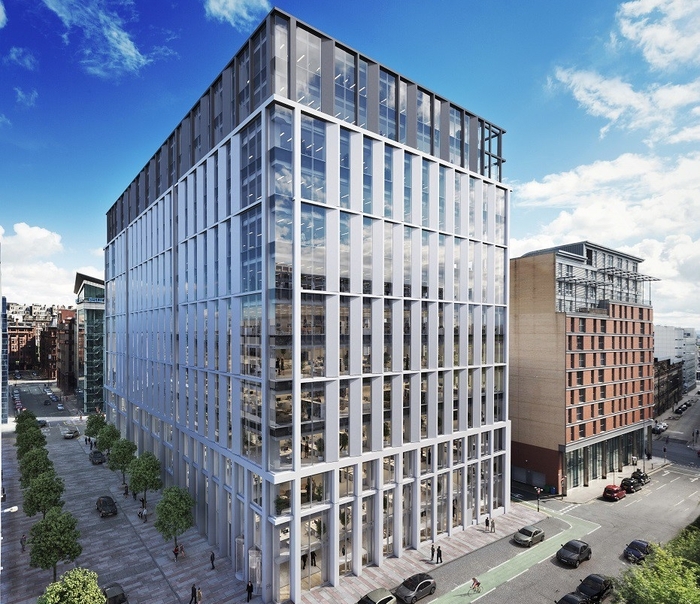 2 Atlantic Square , due to complete in Q3 2020 and 177 Bothwell Street, set to be ready for occupation in Q2 2021. Due to the lack of Grade A supply, rents grew across the city centre last year according to JLL, a trend which is set to continue this year. Kirsteen Lamont, Senior Surveyor at JLL in Glasgow, said: “Despite the first three months of this year being relatively slow, there is clearly lots of activity across the city with strong levels of live requirements, meaning Q2 take up should be healthy. While some occupiers may be taking a wait and see approach due ongoing political uncertainty, we anticipate the majority will continue with planned relocations this year. High demand for stock and a lack of supply, particularly in the city centre, is causing occupiers to consider their options as early as possible. This is leading many to consider refurbished stock or serviced office accommodation. JLL say that the burgeoning serviced office sector, which accommodates flexible city centre working, has reported heavy activity this year so far. 72% of deals recorded in Q1 were below 5,000 sq ft with 10 being below the 2,500 sq ft mark. The average deal size this quarter was 3,055 sq ft.